DynoMax Race Bullet Mufflers have a straight-through design which will improve your vehicle's performance and give you a deep, aggressive tone. 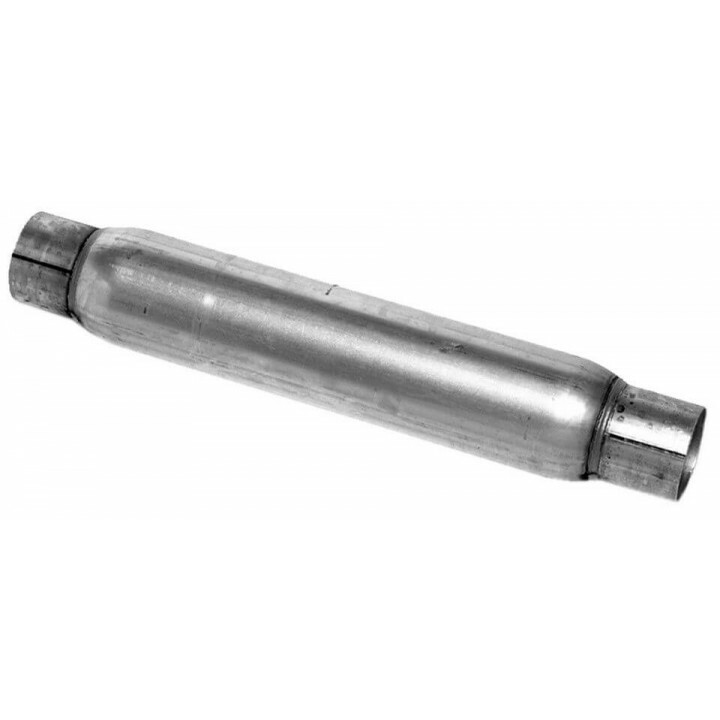 The mufflers have a welded, aluminized construction for durability and longevity. They feature contiuous roving fiberglass for great sound control and are just what you need to replace your OEM muffler. Center Inlet And Outlet 3 in. Dia. Note: TDot Performance is an authorized dealer of all DynoMax products, so your new Mufflers will include the full factory warranty. What more? We are proudly Canadian but have warehouses in both Canada & USA, so whether you are Canadian or American, you WILL NOT pay any Custom, Duties or Brokerage fees! DynoMax Performance Exhaust is one of the major market leaders in the aftermarkets autoparts industry. The company manufactures a wide range of premium exhaust products which maximize performance and improve sound. They also offer an extensive collection of performance and replacement exhaust pipes, bends, crossover pipes, cutouts, reducers, mounting hardware and other exhaust accessories. Universal Fit Center/Center / 3.00" / 3.00"
ALL	 ALL ALL Center/Center 3.00" 3.00"